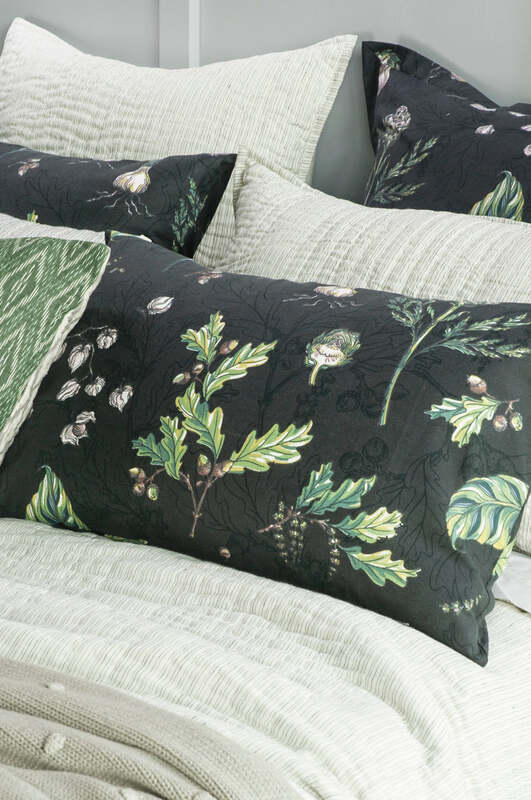 Featuring an assortment of acorns, sprouting bulbs, artichokes and lush foliage, our exquisite Botaniska design is reminiscent of a fresh spring day. 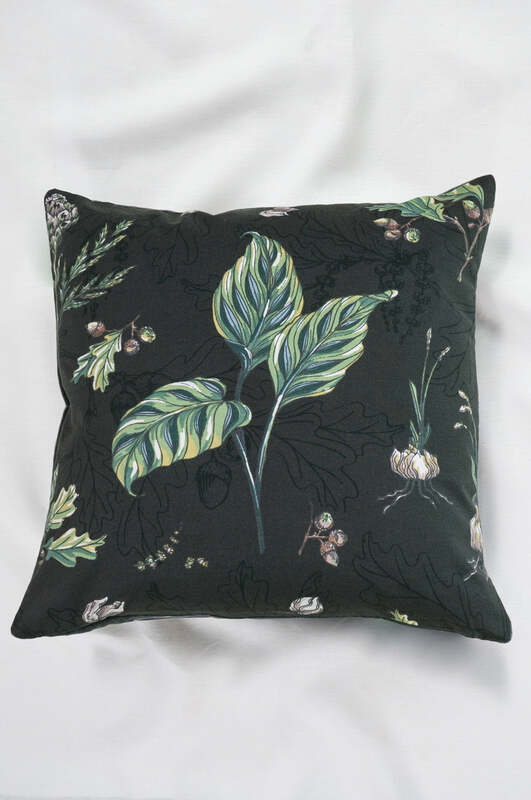 Inspired by traditional botanical illustrations, this print has been exclusively hand-painted for Bianca Lorenne in a sophisticated charcoal or green colourway. Available in linen/cotton comforters, pillowcases, eurocases, cushions, duvet covers and fabric by the metre. 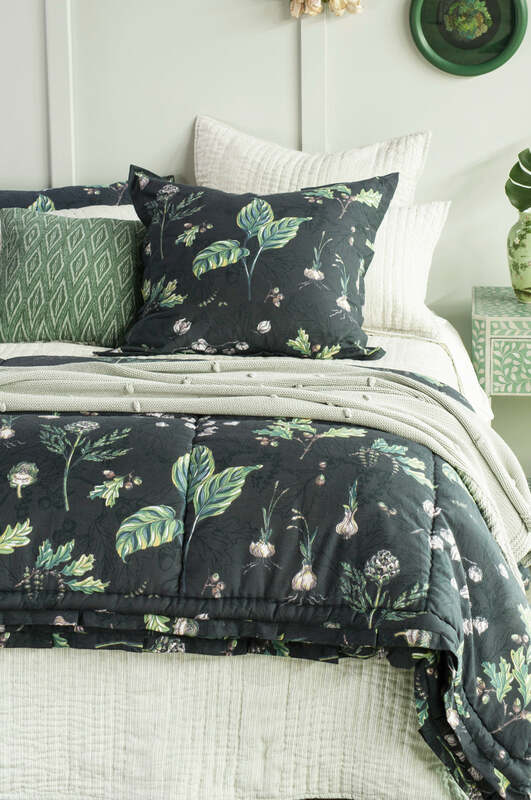 Please send me a sample of the following swatch for botaniska charcoal comforter.